We understand that the concept of laser eye surgery can be frightening for patients. The thought of having your vision permanently altered by a laser aimed directly at your eye is enough to make many people rule out the thought of highly effective PRK laser vision correction altogether. Nevertheless, it is important to understand that any experienced and dedicated laser vision correction practitioner will have the latest and safest tools and equipment to help make sure that your procedure is performed with the greatest accuracy and care possible. Here at Laser Vision Delaware, we are committed to providing laser vision correction services that are of the highest quality and accuracy, whilst still putting the safety of our patients at the forefront of what we do. With this in mind, we have invested in what believe is the very best laser on the market for PRK – the WaveLight Allegretto Wave Eye-Q Laser. What is the WaveLight Allegretto Wave Eye-Q Laser? The WaveLight Allegretto Wave Eye-Q Laser is one of the newest, safest and most accurate tools for laser vision correction currently available in Delaware. This laser is FDA-approved for topography-guided laser vision correction while also incorporating refractive errors of the eye and any corneal irregularities into the custom laser ablations performed by the machine. 400-Hz eye tracker: this enables the machine to accurately track eye movements in real time, verifying the position of the eye before releasing the pulses need to perform the laser vision correction. Curvature of the eye taken into consideration: this means that the machine can successfully address spherical distortions that could cause glare and affect your night vision. PerfectPulse Technology: known for ensuring safety and precision with each pulse of light that is emitted. Fine laser with Gaussian Beam profile: the ultra-fine laser tracks pupils between 1.5 and 8mm, has automatic centering and can provide narrow and precise ablations of corneal tissue. Integrated, closed-loop energy control: ensures energy flow remains stable and is tamper-proof, adding to the safety profile of this laser. Speed of process. This laser is around 7 times faster than others used to delivery laser eye surgery without any compromise on precision or accuracy. The upshot of these features is that they yield superior safety and efficiency in every aspect of the procedure – something which can significantly improve the outcome of your PRK surgery. Occurrences of complications or the need for additional treatments with the WaveLight Allegretto Wave Eye-Q Laser are extremely low. 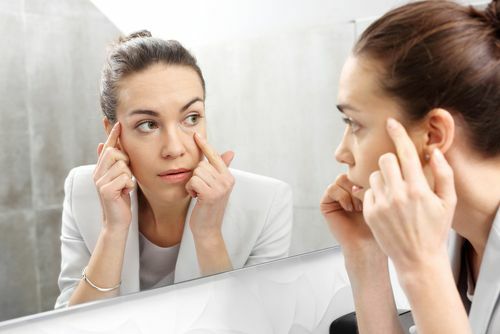 If you are interested in finding out more about PRK laser vision correction surgery, or if you have further questions about the equipment that will be used in your procedure, including the WaveLight Allegretto Wave Eye-Q Laser, please don’t hesitate to get in touch with our experienced team.